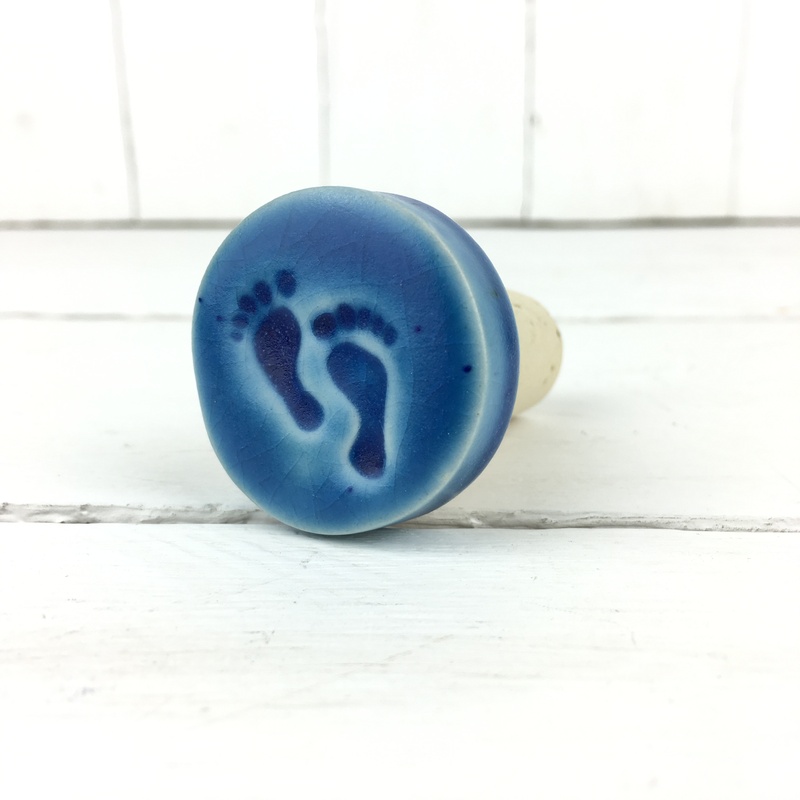 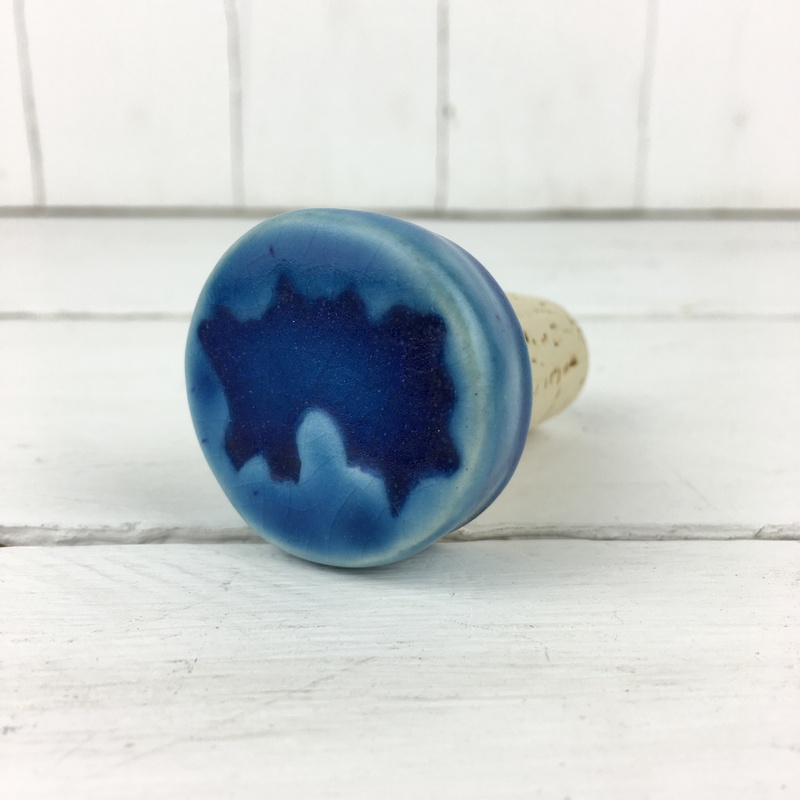 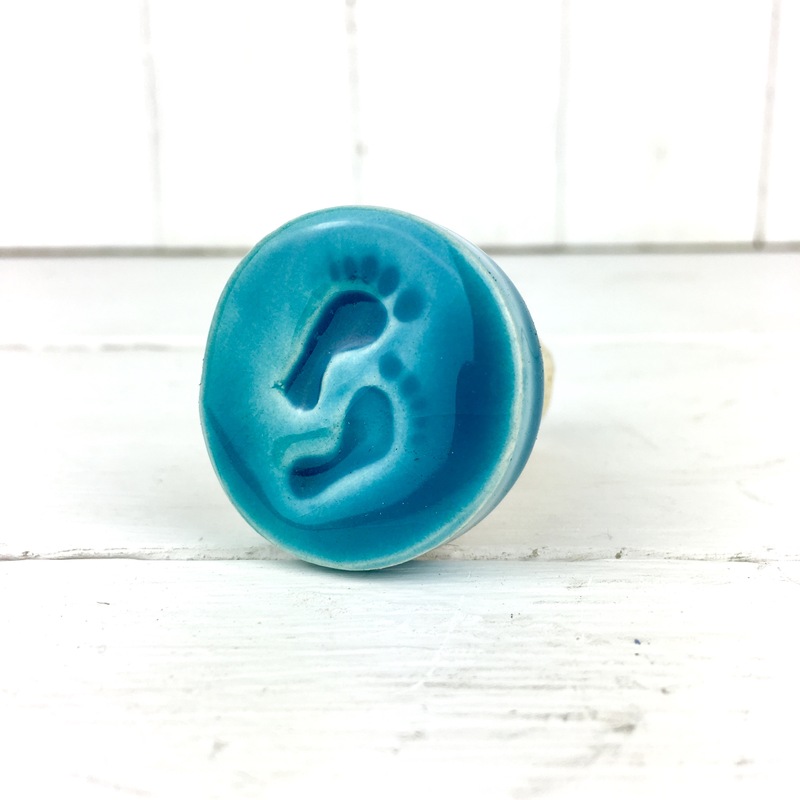 A fabulous cork bottle stopper with a blue crackle matt glazed button with footprints. 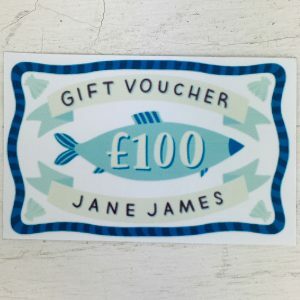 A handmade Jane James coaster which has been imprinted with a shoal of tiny fish. 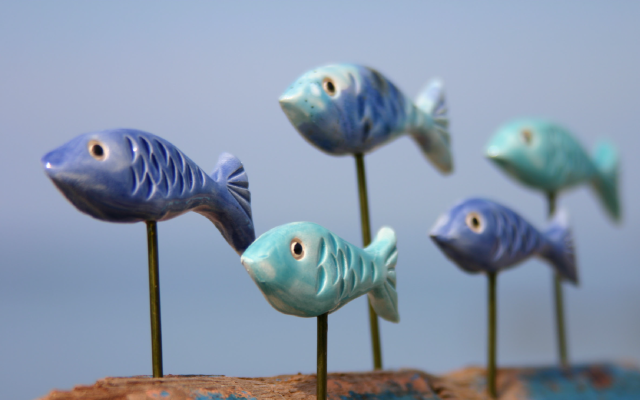 Perfect in any home and great as gift or a souvenir . 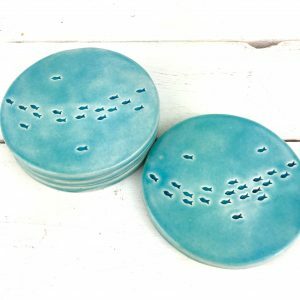 These coasters are glazed with a light turquoise glaze have felt pads on the bottom to protect them and the surface that they are on.